How Do You Get Someone to Read Your Email? I love this meme. I can still hear the AOL sound clip in my mind saying “You’ve Got Mail!” Back then, email was such a phenomenon (especially through AOL), that a film plot with Tom Hanks and Meg Ryan was built around the concept. Not long after, email became so common and inundated with spam that most users end up ignoring most messages that come in. Today, the average open rate for an email is 10%. 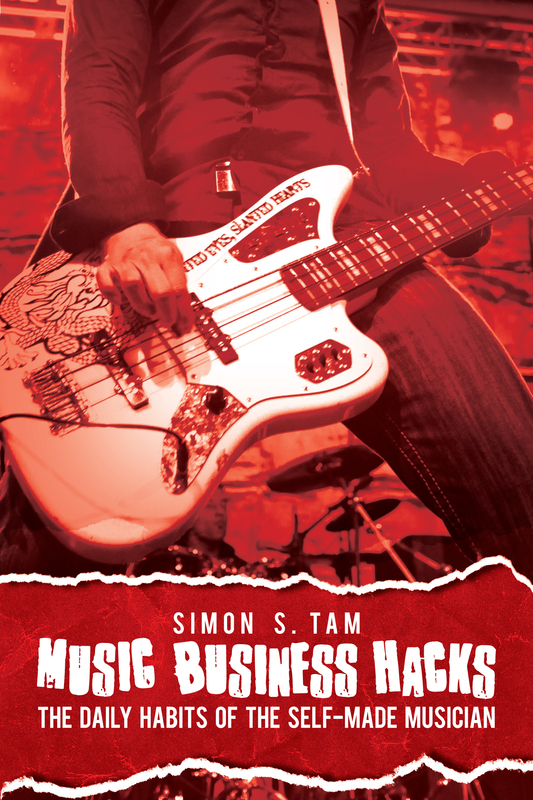 The average click through rate for music is 2.5% (of the emails that are actually opened). With social media becoming the “new email,” it is likely that rates for Facebook event invites are close, if not lower. People seem to find a new trend in communication and then proceed to saturate it with the same poor tactics that gave them low responses to begin with. Here’s the secret: changing the medium won’t improve conversions, clicks, or interest. Changing the message will. Make it Personal: Before you worry about the subject line, make sure think about the recipient. I can’t tell you how many event invites I get from people on Facebook or through email for things taking place out of state or on the other side of the globe. Often times, it’s for something that I don’t even care about (I just get added to their email list or happen to be connected to them on Facebook). You don’t like spam so don’t contribute to the pile. Take the time to get to know your audience and things that are relevant or of interest to them. This guide on How to Use Facebook Events can help. With email, management software can target recipients by zip code and insert their name in. Less is More: You want to send out regular updates but each one should be relevant to the recipient. Email management programs like Fanbridge (or even Google Contacts) can help by segmenting your contacts into lists/categories. Facebook will even decrease your Edgerank score if you post too often…so make sure what you do counts. Treat the Subject Line Like a Headline: You want your subject line to grab their attention but not catch the spam filter. It should sound more like an interesting, urgent, news headline and less of a cheesy marketing pitch. Don’t post the first thing that comes to mind. Take your time to write and re-write this. Some programs let you test the subject line to see which gives a higher open rate before the rest of your contact list receives it. Don’t Shout in an Overcrowded Marketplace: The reason why email was so captivating when it was a new technology was because it was new and different: our mailboxes were already full of junk mail. However, the reverse has occurred: we now love personal letters/mail because we get so much junk email. Physical mail requires an investment of time and money but when used strategically, can help win life-long fans. Don’t jump onto Twitter or Facebook simply because everyone else is there: you’ll only add to the noise. While it is important to know how to use more popular social media channels, it’s also imperative to know how to communicate with your target audience in less cluttered areas. Ask Questions: The most effective way of using any communication method (whether it is email, social media, mail, or a text) is to create engagement. Ask a question or have a call to action. Facebook is successful because it built a model around engagement (comments and likes), almost treating it like a game: how many likes can you get on this post? As I’ve mentioned before, you should treat your social media like a telephone, not a megaphone. Create a conversation. Do the same with your emails: treat your recipients more like pen pals and less like fan mail. It’s easy to be lazy and simply post the first thing that comes to mind, whether it is an email or a status update. However, take an extra 30-60 seconds to think carefully about it, read it twice, and make sure it gets into the right hands (as opposed to all hands), will improve your levels of engagement with your followers. Get them excited about every one of your updates so that they’ll become excited about what is coming next…rather than treating you as an anonymous, unread message in an ever-growing pile. If you send an email, a Facebook post, or a Tweet and nobody has read any of it, did you do anything at all? A few thirty to an hour artist and repertoire sets is nice with me with transpo and lodging for ancillary music. Camaraderie Music:email aegis5652@aol.com for ASCAP OnStage.